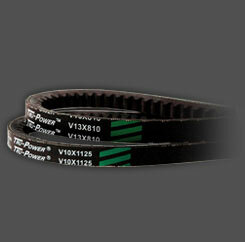 performance automotive V-Belts covers most passenger cars, light trucks, buses and heavy-duty truck applications. You will never have to look elsewhere for another V-Belt. Now you can eliminate lost sales by offering your customers the exact Gates V-Belt that they'll need. 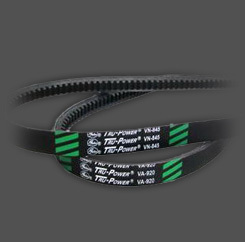 Our Tru-Power™ V-Belts have been proven through extensive laboratory and field testing to be able to outlast and outperform all other competitor's belts. 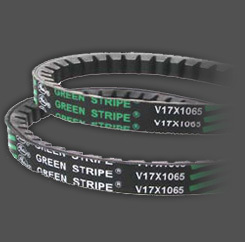 These belts are capable of withstanding a greater angle of pulley misalignment with maximum resistance to heat and oil; the main enemies of automotive drive belts. Improved stability and flexibility - suitable for smaller pulleys with small wrapping angles. Made of high modulus, thermally active tensile cords. Belt runs cooler and quieter. Assures exact size, precise top width, dimensional control and angle. Meets or exceeds JASO E108 specification.